At about 1:01 PM on March 18, 1925, trees began to snap north-northwest of Ellington, Missouri, and for the next three and a half hours more people would die, more schools would be destroyed, more students and farm owners would be killed, and more deaths would occur in a single city than from any other tornado in U.S. history. 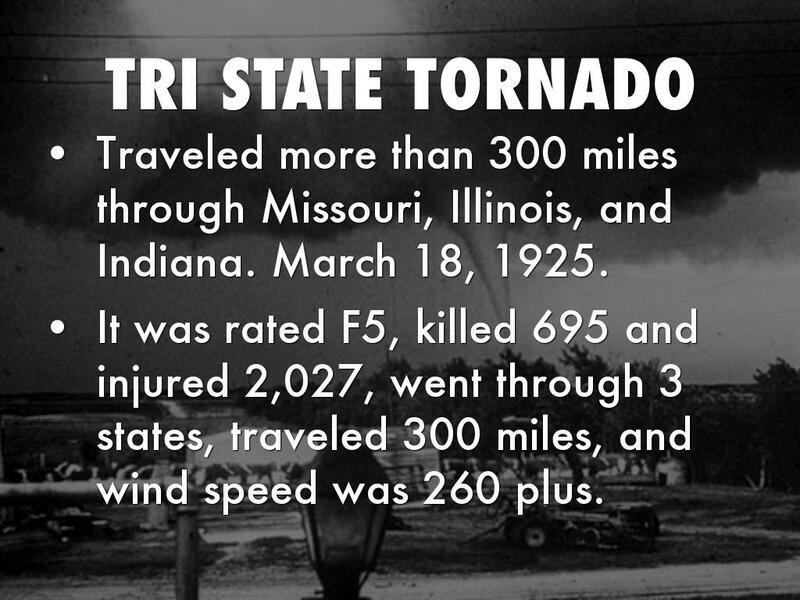 It began when a small tornado touched down near Ellington, Missouri gained momentum over the course of the afternoon. In the three-and-a-half hours that followed, it ballooned to record widths and speed. At one point, observers calculated that it was a full mile wide, and it maintained an average speed of 62 miles per hour and a top speed of 73 miles per hour. For people on the ground, the reasons didn’t matter. 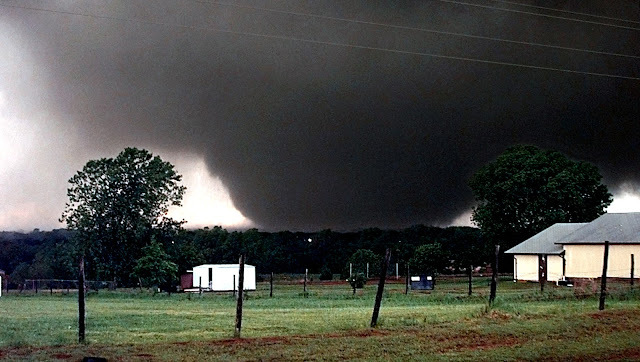 This tornado was the biggest one they’d ever seen, and people scrambled for shelter as it attacked town after town. From the start, the storm was a killer. Within minutes of materializing, it killed a farmer. 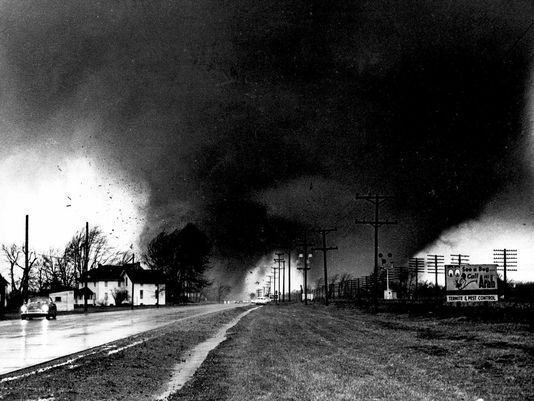 Then it headed to Annapolis, Missouri, a mining town. Tragically, the mountains in the town kept people from spotting it. 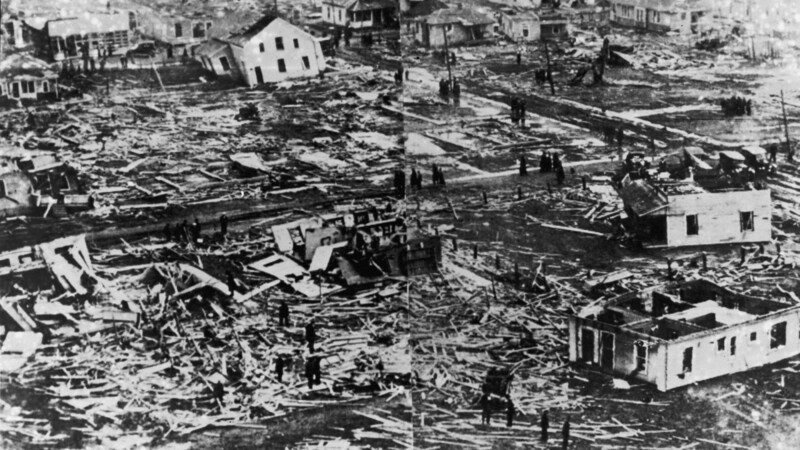 Ninety percent of the town’s buildings were destroyed, four people were killed, and 1,000 people became homeless. Miraculously, a group of children who had huddled around their teacher’s desk after coming in from recess survived.